Casting Spelsberg IBT electrical enclosures into concrete building panels helped speed up construction of the UK’s newest prison in North Wales. HM Prison Berwyn, which opened in February 2017, will become Britain largest prison with capacity to accommodate 2,106 men. Costing £250m to build, it is state of the art in every way and designed for rehabilitation and education rather than punishment and incarceration. The men will be housed in one and two-man rooms – they are not called cells – and they are also fitted with showers and toilets. Other facilities in the prison include an education block, workshops, sports hall, multi-use games areas, a health centre, and multi-faith centre. The objective of HM Prison Berwyn is to maintain as much normalcy as possible to aid eventual re-entry into society and to educate the men so that they are employment-ready upon release. It will also create about 1,000 jobs and generate £23m for the local economy. Construction of the three four-storey accommodation blocks was entrusted to Precast Concrete Structures Ltd (PCS), which specialises in the design, off-site manufacture and erection of buildings using precast concrete. The company has a track record with other prison construction projects, as well as apartments, hotels, offices and student housing: often meeting strict construction deadlines. For the Berwyn project, PCS used both pre-cast floors and walls, the former incorporating solutions cast in for lighting, heating and drainage, the latter coming complete with window and door frames. Some walls also have cast into them Spelsberg BS1 electrical enclosures that provide sockets for TV and computers, as well as BS2 enclosures that house power connections. 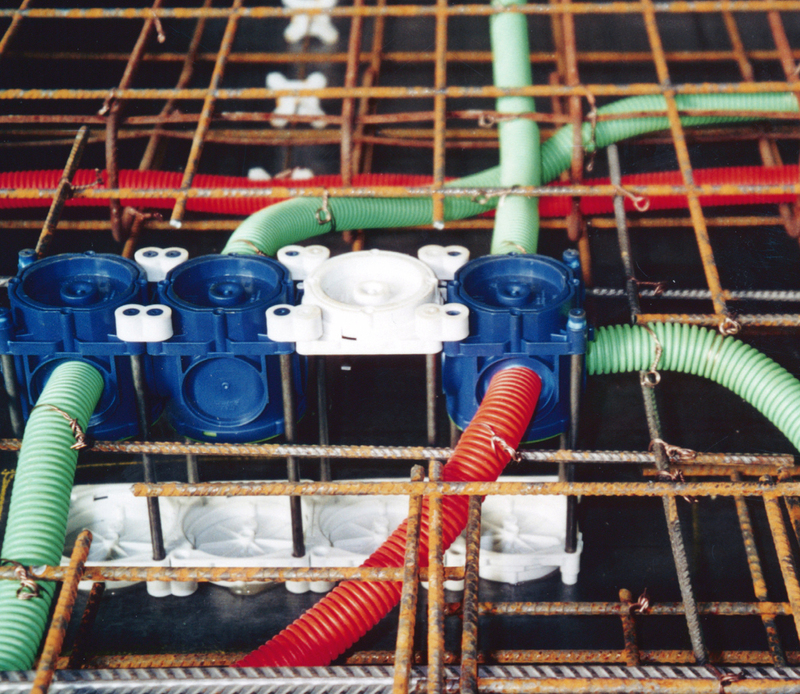 Both enclosure models are from the IBT range, designed specifically for pre-cast concrete construction projects. 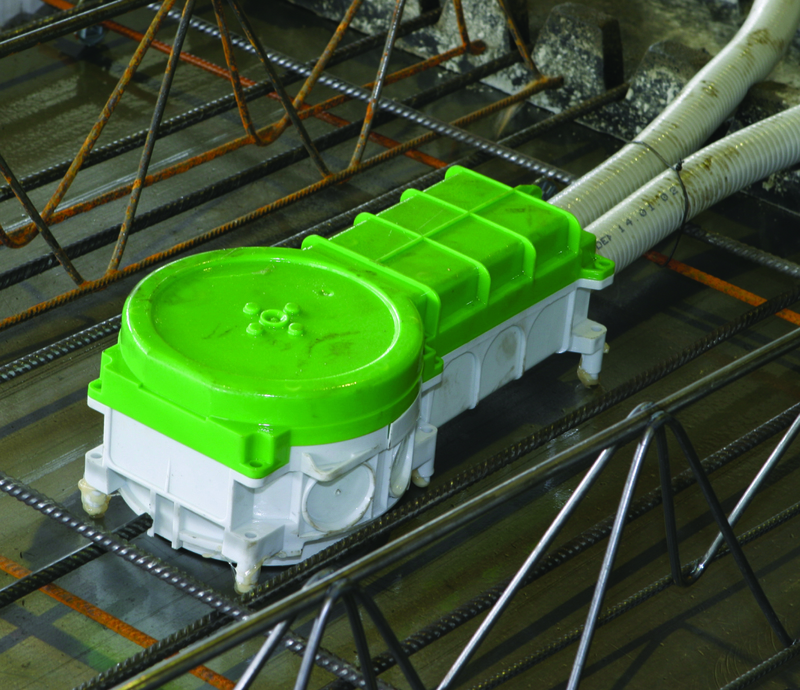 The British Standard series of enclosures is designed so that it is suitable for permanently casting into position in concrete panels. The BS1 is 86mm x 86mm x 60mm deep and is designed to have a single socket outlet fitted to the front of the unit. The BS2 is bigger at 146mm x 866mm x 60mm and is designed to have a double socket outlet fitted to the front of the unit. Both units are designed for flexibility of use and come with an earthing screw as standard. Additionally, Spelsberg supplied bespoke cast-in back boxes to facilitate the two-way intercom between the room interior and the adjacent corridor or landing so that the men can contact the staff should the need arise. The corridor back box also incorporated a call light and reset button. Steve Williams of PCS says Spelsberg were very helpful on this project. “Where rooms have two men, we needed to double up the electrical services. This meant installing both enclosure types in pairs, side by side. In such a configuration any misalignment is immediately obvious and looks less than smart. The solution agreed upon was to use special face plates that would fit over both enclosures, which would make discerning any misalignment virtually impossible. Finally, following Ministry of Justice guidelines, the face plates were mounted with one-way screws rather than the standard type. The asymmetric screw heads can be tightened using a normal screwdriver but need a special tool to undo them, preventing men for unscrewing the face plates and vandalising the electrical fittings inside or hiding contraband. 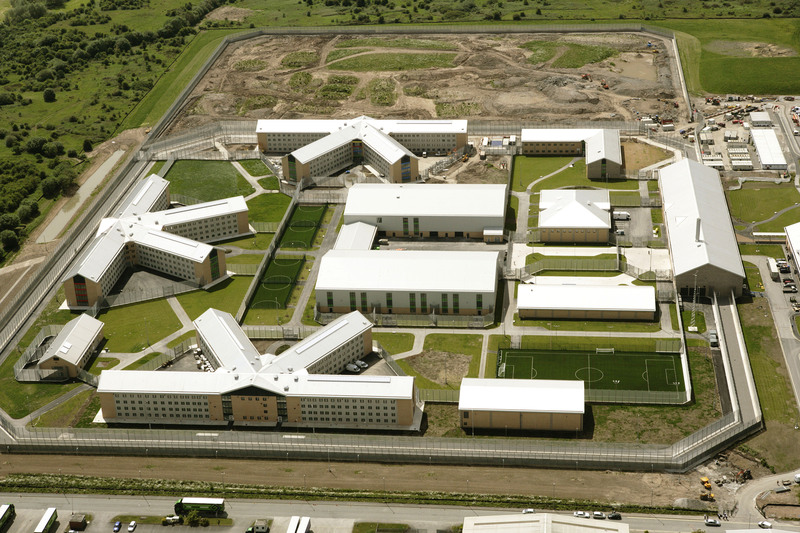 The UK government is engaged in a programme of prison building to relieve overcrowding and modernise the estate. Economies of scale can be realised by building large establishments. By breaking these down into smaller housing blocks and the blocks into even smaller sections a sense of community can be created. This fosters good relations between occupants and also with the staff, reduces destructive behaviour and encourages long-term rehabilitation.